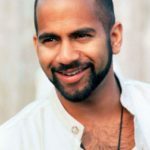 Ajay Kalahastri Naidu is an American actor. He is of Indian descent. Naidu’s first professional acting job was the film Touch and Go (released in 1986) which he won from an open call. He starred in the TV movie, Lady Blue (1985) as Paquito. This was followed by an ABC After school Special episode, “No Greater Gift” (1985), where he played Nick Santana, a 12-year-old boy with a terminal illness. Naidu then appeared in the MacGyver TV series’ first season episode,”To Be a Man” in 1986. "Rap is rhythm and poetry. Hip-hop is storytelling and poetry as well."